A tower of whimsy has risen in the Austrian mountains. A four-story bouncy house and playground by Oslo- and New York-based architecture firm Snøhetta provides the unique chance to trampoline with the majestic Alps as your background. It’s all part of the latest expansion of Swarovski Kristallwelten (Swarovski Crystal Worlds), a bedazzled attraction that opened in 1995 in honor of the crystal company’s 100th birthday. Naturally, because this is a corporate attraction, the design features Swarovski crystal—in this case, built into the ultra-transparent facade wrapping around the exterior of the 65-foot-tall play tower. Kids may not be interested in Swarovski’s luxury-cut glass, but it’d be hard to resist the chance to clamber up the 45-foot-tall net that connects multiple floors of this skyscraper of fun. The playground also features slides, swings, and outside, a hand-shaped labyrinth. A bouncy trampoline with a crystal-clear Alpine view? Yes please. A trippy walkway leads to the museum shop. 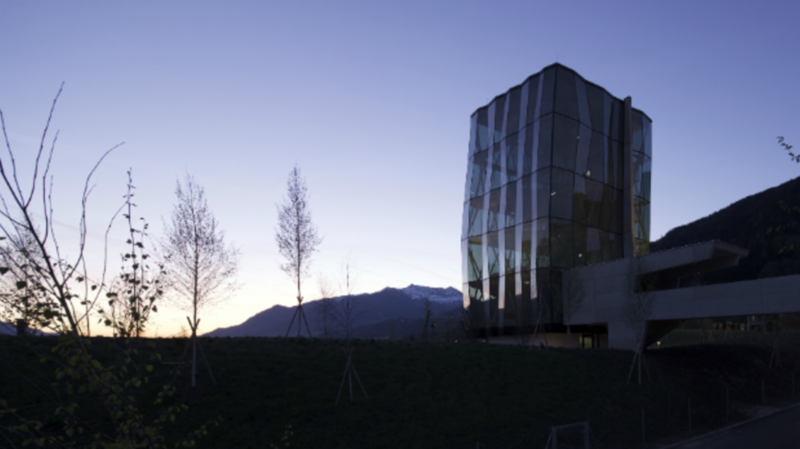 Learn more about the Swarovski Kristallwelten here.